Coyote Creek Ranch, located in the beautiful hills of Vacaville. NOW HAS AVAILABILITY we have beautiful pasture w/shelter or stall w/extended paddock. 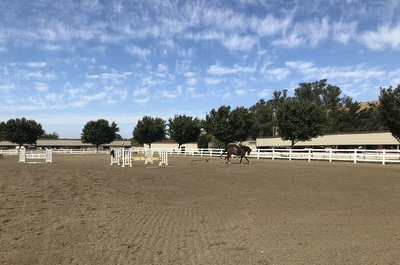 Privetly owned/operated full boarding facility, with arena,60' round pen -all lighted, trails, emaculate barn. To visit our facility: 707 447-6597. Located between Dixon/Vacaville. Indoor/outdoor arenas irrigated pastures 3x daily feed all disciplines welcome. 24 hour on site care.